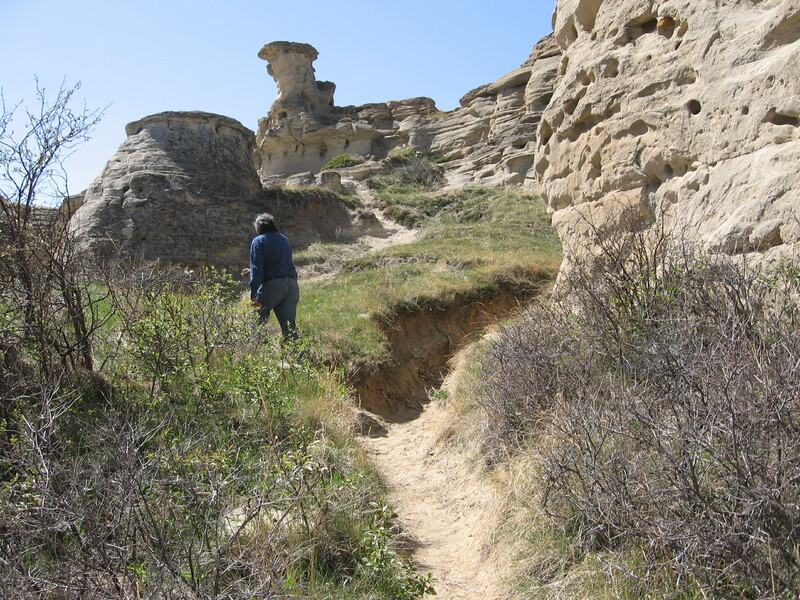 Close to the Rocky Mountains, an ever-present wind lives on the southern prairie of Canada; it shapes Writing-On-Stone, a ‘special place’ in Alberta featuring miles upon miles of sandstone hoodoos and cliff faces adorned with petroglyphs — ancient images scratched and pecked out of the stone. Here’s the link to WIND SPEAKS WELL OF YOU. 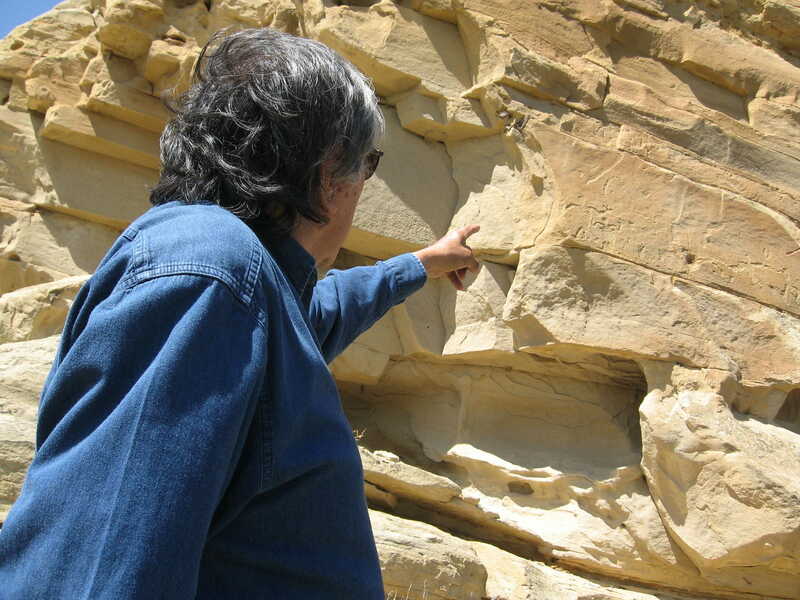 To experience the immersive wind of Writing-On-Stone, put on HEADPHONES or earbuds for the 3D SOUND presentation. Let the sound sneak up on you and adjust the volume to find the ‘sweet spot’ for your ears. Helen Verbanz, Karna Mital, Ted Chamberlin, Karsten Heuer, Cleo Paskal, Brian Harris, Sue Kenney, John Beardsley, Lynn Thompson, John de Jardin. Thanks for supporting my ‘art habit’! INSIGHT TREKS is on the march (actually, the first episode debuted in February on Cafe Acousmatic, my new programme of electroacoustic music, sound art, and 3D binaural sound). There will be six episodes dropped in between now and the beginning of the summer (possibly more, if radio and podcast listeners support the making of more aural adventures; 3D ‘locative media’ audio of the sonic architecture of ‘special places’ on the land — more on that in future postings). You — yes, you! — will always get the first listen to each new instalment. Let’s begin with episode one presented in 3D AUDIO. Put on headphones or earbuds. Let the opening sound sneak up on you, and adjust the volume until it feels comfortable to your ears. Terrifying bolts of lightning on a mountaintop and the ringing of church bells. What do the two events have in common? Why would bell ringers in 19th century France think a thunderstorm was something they could play with? And why is persistent sound — the long drone after a bell has been struck — so literally appealing? Donald Campbell, Brian Woodward, Rod O’Connor, Don Pugh, Gordon Freeman, Barbara Hartmann, David Whitley, Sarah Crummy, Gillian Pearlstone, Phaedon Sinus, Candas Jane Dorsey. Enter your email address to follow INSIGHT TREKS and receive notifications of new posts by email.